"Thank you Personal Satellite Network!" 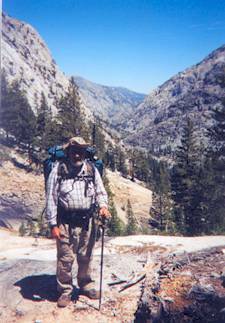 — Bob K.
Bob K. took one of PSN’s Globalstar satellite phone on his solo walk on the “John Muir Trail”, 211 miles with 7 mountain passes over 10,000 feet high. It includes Mt. Whitney at 14,495 ft. Here is a picture of Bob at one of the passes.